Pay TV sports broadcaster Eleven Sports has struck a deal with the Drone Champions League (DCL) that will see it carry live drone racing exclusively on its channels in Belgium, Italy, Singapore, Taiwan and the US. The deal will also see Eleven Sports carry drone racing on a non-exclusive basis in Luxembourg. In addition to live racing, Eleven will show a 26-minute magazine show linked to each round of the DCL drone racing calendar. DCL will organise five fixtures for the remainder of this year, comprising events in Liechtenstein, Belgium, Romania, Asia and Germany. Eleven will itself co-organise the event taking place in Brussels in Belgium in September. “Drone Racing is increasing in popularity globally and we’re thrilled to be able to bring the twists and turns of the Drone Champions League to fans in six of our markets. This fits perfectly with our strategy to provide a home for millennial fans to watch not only the pulsating live action, but also the insightful accompanying content that we will deliver for fans through our engaging and interactive coverage,” said Danny Menken, group managing director, Eleven Sports. 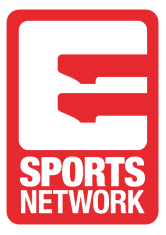 “We are extremely proud and excited to be partnering with Eleven Sports, the most innovative and fastest growing sports broadcasters in those countries. Our ultimate ambition is to see multiple teams from the US, Italy, Belgium and other countries where Eleven Sports are present competing at the highest level in future DCL events around the world, and we look forward to cooperating on the event in Brussels,” said Herbert Weirather, founder and CEO of DCL.